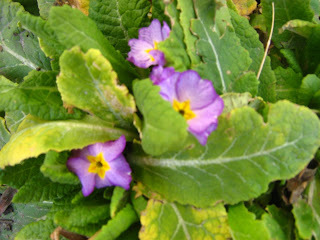 Here is another thing I love about gardening, it keeps you very in tune with the seasons. 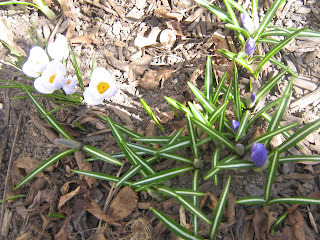 At our house we know that when the crocus and the primula start to bloom, that is the beginning of it all for us. Soon it will be the tulips, violets, daffs and hyacinths. For a short time we will enjoy all our flowering shrubs: Lilac, Weigela, Forsythia, Flowering Almond ( most especially the flowering almond). And then, before you know it, there will be so many things in bloom that a few will begin to escape our notice, and then we will make sure that we start to go on little evening "garden walks" to be sure that we get to notice each thing in bloom. After all, every living thing deserves its turn to shine, doesn't it?